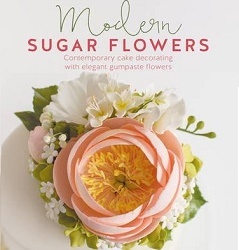 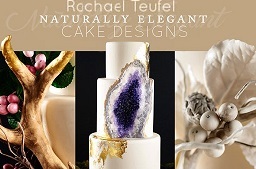 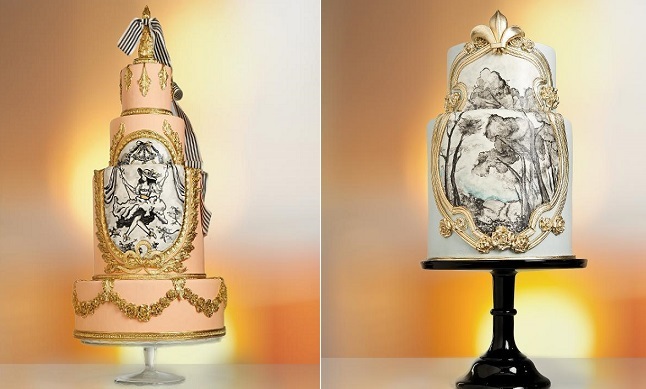 Beautiful artwork never goes out of style and with handpainted cake art exploding in popularity, exquisite antique toile patterns have become the one of the most chic and admired vintage cake styles of the moment. 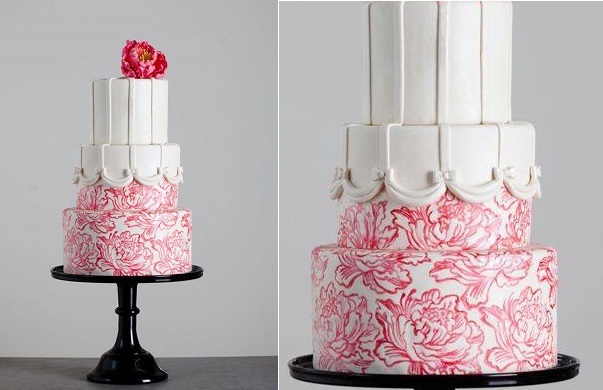 The Cake Opera Company and Pasteles Alma have created the two outstanding toile masterpieces above, left and right respectively, with matching toile cookies by Pasteles Alma below, perfect for a super chic wedding or event. 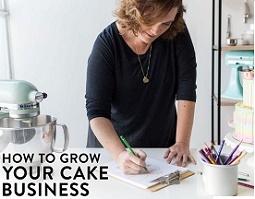 (Hand drawings on the Pasteles Alma confectionery by Sonje Buhrke). 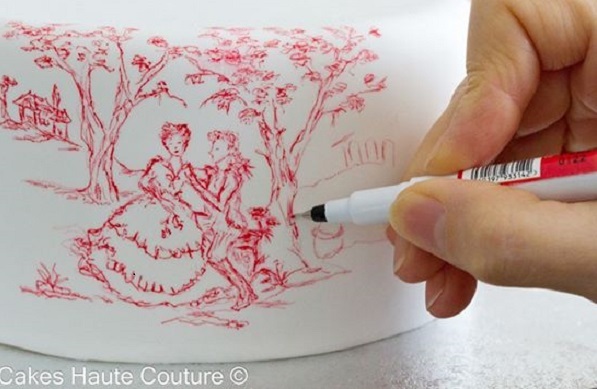 Toile patterns were originally produced in Ireland in the mid-1700s but gained popularity in the UK and France, eventually becoming synonymous with the French town of Jouy-en-Josas, hence the term, toile de jouy (“cloth from Jouy-en-Josas”). 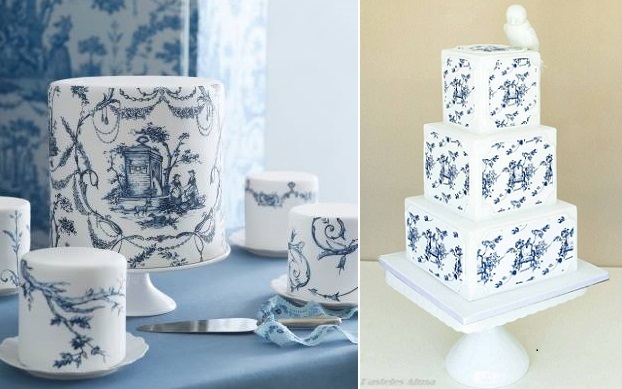 Toile patterns are typically in a single colour (with blue being the most popular) set against a white background, depicting a pastoral scene from the countryside. 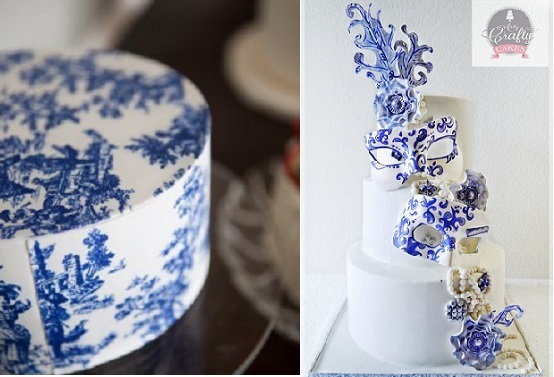 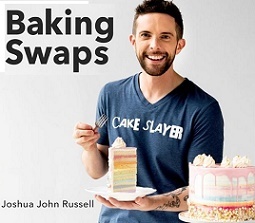 Martha Stewart Weddings featured the fabulous toile cake design (below left) and on the right is a toile-inspired cake design by Arty Crafty Cakes for a carnival themed cake complete with beautiful theatrical masks. 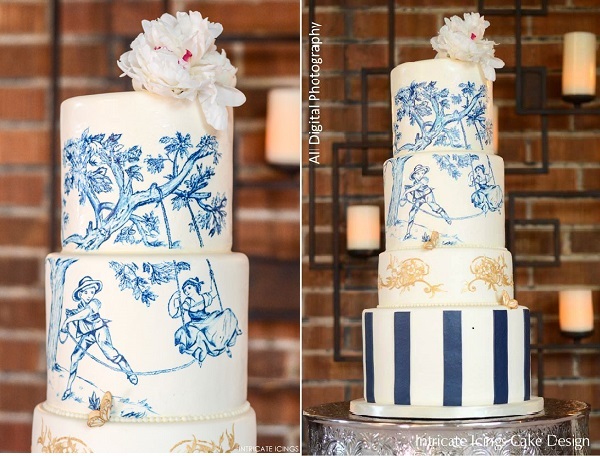 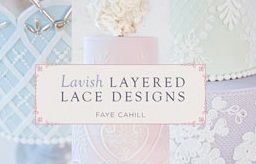 Below right, we have a beautifully hand painted toile cake created for a stylish 40th birthday party by Nevie Pie. 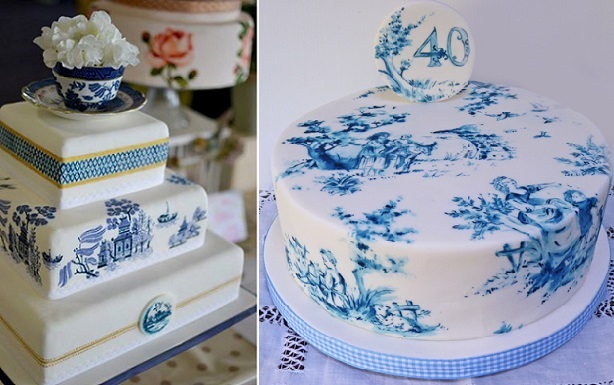 Not too dissimilar in style from the toile de jouy pattern, willow pattern cake designs have also begun to make an appearance in the latest wedding cake collections, including the beautiful cake design (below left) by Murray Me. 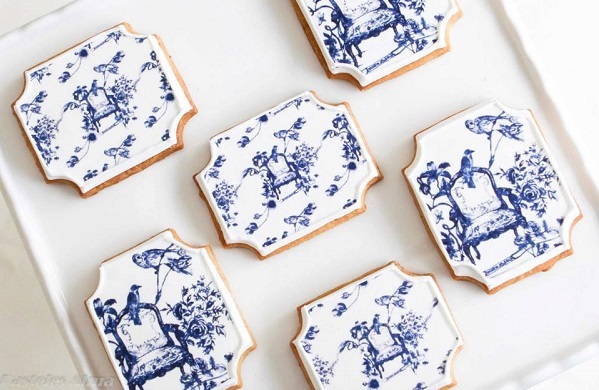 The willow pattern is another classic blue and white design dating from the late 1700’s and popular in vintage ceramics and homewares, inspired by the china England imported from Asia during the late 18th century. 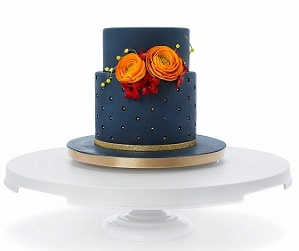 Navy striped detailing is blended with toile artwork and gold accents for a beautiful French themed cake below by Intricate Icings (image by All Digital Photography). 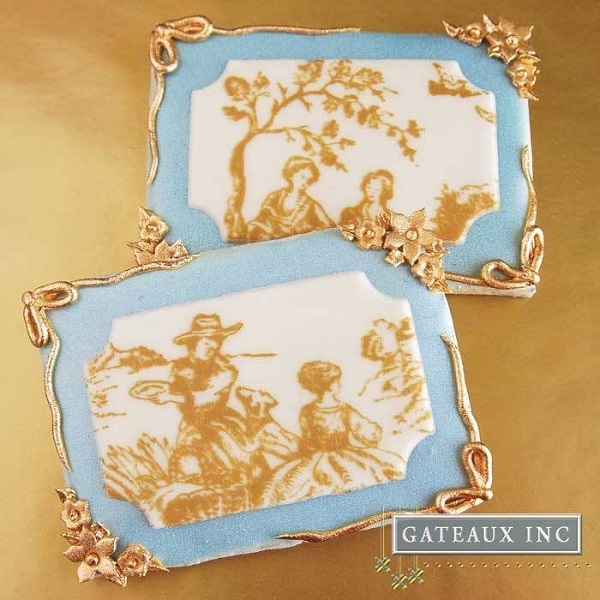 If your handpainting skills aren’t up to those of our featured designers, fear not – Gateaux Inc’s Evil Cake Genius has created a fantastic toile stencil, used to create the splendid toile cookies below. 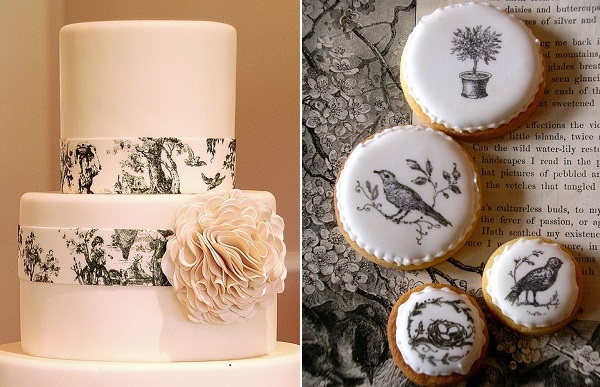 The Evil Cake Genius stencil was used to create the fabulous toile patterned fondant ribbon in the elegant black and white cake design (below left) by Gateaux Inc, with another fabulous black and white toile pattern on the right by Nice Icing, UK. 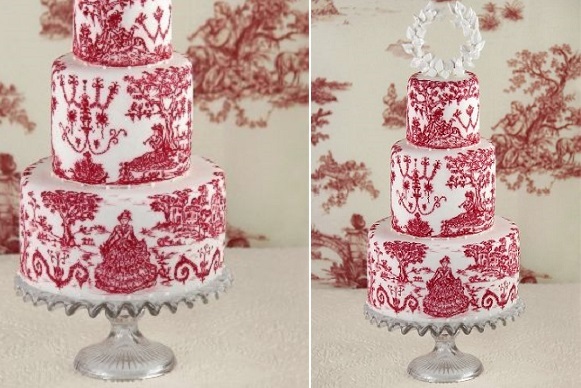 Cakes Haute Couture, Spain demonstrate the intricacy of their hand-drawn vintage toile patterned cake below. 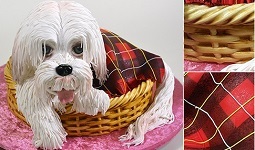 A second exquiste toile cake design from Cakes Haute Couture, Spain in a striking rich red and white colour combination. 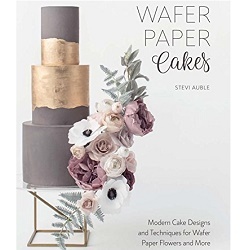 A fabulous toile effect was created on the vintage wedding cake below using craft stamps by the ever-creative Erin Gardner of the Wild Orchid Baking Company and featured in her book, Great Cake Decorating. 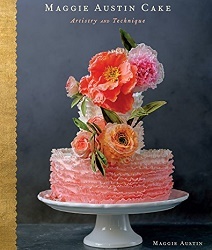 Now you can learn from the directly from the master of baroque style cake art herself, Alexandra Pellegrino of The Cake Opera Company on Craftsy. 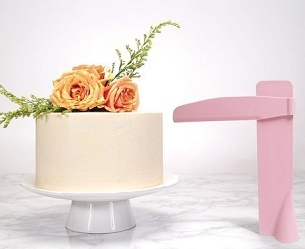 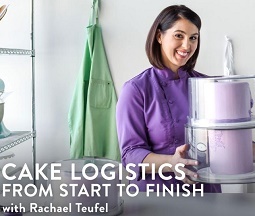 Alexandra’s new classes teaches you how to create the two masterpiece toile cake designs below, plus a third “keyhole” themed antique cake design. 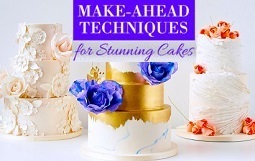 Unlock the secrets of Alexandra’s rococo-inspired cake art using stenciling (with stencil provided) embellished with simplre freehand detailing, rich washes, gorgeous gilding. 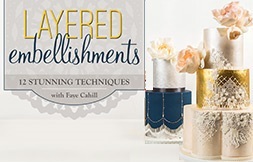 You’ll find on the details on this not-to-be missed class here: Simple Skills for Dramatic Designs with Alexandria Pellegrino.